In a bid to promote Civil and Environmental Engineering conducted by the University of Ruhuna, Ceylon Steel Cooperation has come forward to offer10 scholarships for needy students. Dr. Sudhira De Silva, Head of Civil and Environmental Engineering Universityof Ruhuna, said that Ceylon Steel Cooperation under the brand, Lanva had being doing this Corporate Social Responsibility program, since 2014. Under this scholarships program, four needy students have being picked and they are being paid a monthly allowance by Ceylon Steel Cooperation under an initiative launched by its Chairman, Nandana Lokuwithana. De Silva said that students who need these scholarships apply for it and 10 are being selected each year to receive them.He said that today more and more students are enrolling for this Civil and Environmental Engineering program since there are ready made jobs available form them both in Sri Lanka and overseas. We offer them a certificate of international repute and due to this successful candidate finds many high paying overseas opportunities,” said Dr. Chaminda Tushara, Department of Civil and environmental Engineering, Faculty of Engineering,. University of Ruhuna . 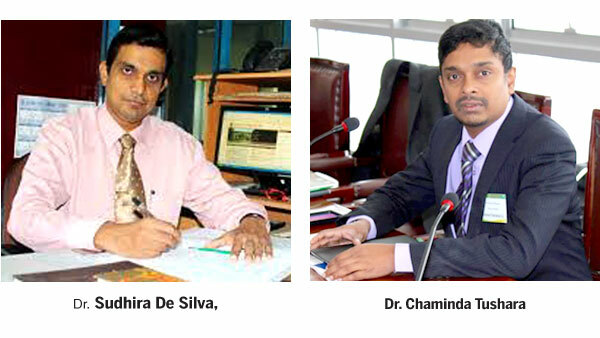 He said that in addition to offering Civil and Environmental Engineering scholarships Ceylon Steel Cooperation also came in as a co-sponsor for the 4th International Symposium on, Advances in Civil and Environmental Engineering Practices, for Sustainable Development (ACEPS-2016), which was held last March at the Faculty of Engineering, University of Ruhuna, Galle. ACEPS-2016 was jointly organized by, the Department of Civil and Environmental Engineering, Faculty of Engineering, University of Ruhuna and the Department of Civil and Environmental Engineering, Saitama University, Japan. The symposium created a venue to discuss advanced sustainable engineering practices that are adopted in developing the region. The symposium was mainly centered on Civil Engineering Practices for Sustainable Development, Ecological engineering of water bodies, Infrastructure planning and development, and Environmental Engineering. Ceylon Steel Corporation Limited, with its brand presence as Lanwa Sanstha Wane, is the pioneer organization that ushered in steel production to Sri Lanka.